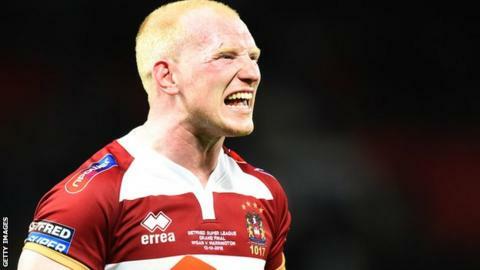 Wigan Warriors forward Liam Farrell will be sidelined for around four months with a torn pectoral muscle. The 28-year-old England second row is to undergo surgery on the injury he sustained in Sunday's World Club Challenge against Sydney Roosters. He was injured in the 50th minute of the game, which his side lost 20-8. "Liam has unfortunately torn his pectoral muscle and will go under the knife in the 24 hours to reattach it," said head coach Adrian Lam. "It's a blow, as Liam is a quality player and he is part of our leadership group, but injuries are part and parcel of a sport as tough as rugby league and his misfortune presents another member of our squad with an opportunity to contribute. "We'll support Liam throughout this process and get him on the road to recovery as soon as possible."